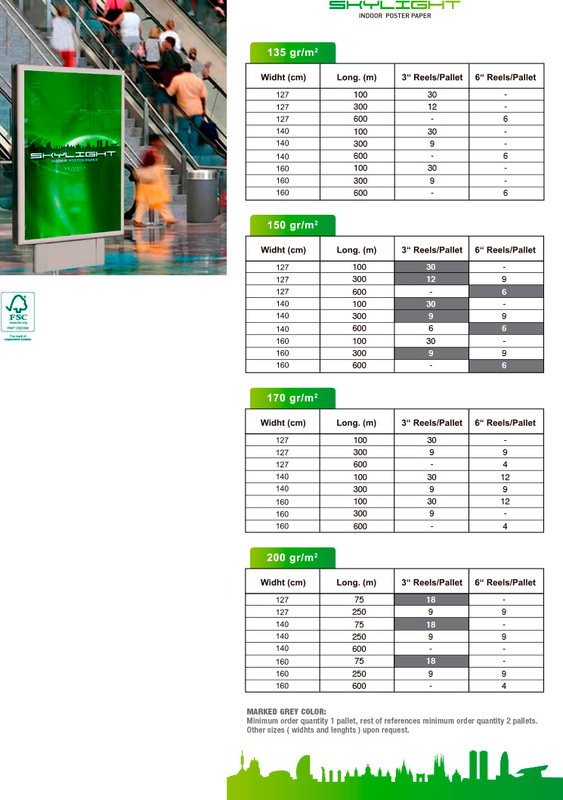 It is a special coated paper suitable for applications in bus shelters, POP and indoor advertising. Its main characteristics are its high level of whiteness, excellent formation, transparency, dimensional stability and printability, all of which are essential for backlit bases. This is very important for posters which are situated a short distance from the public. It is ideal for solvent, mild solvent, latex, bio and UV inks.